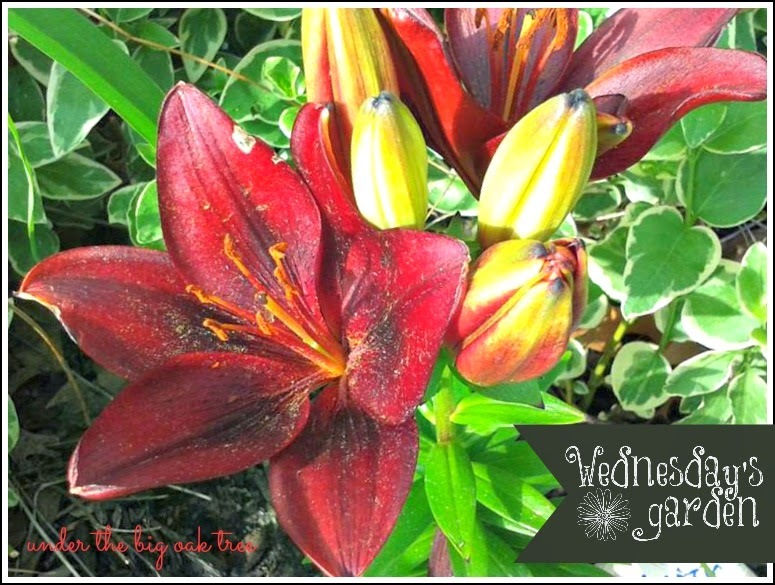 Beautifully vibrant Asiatic Lilies add a stunning splash of color to the lush greenery throughout the garden. 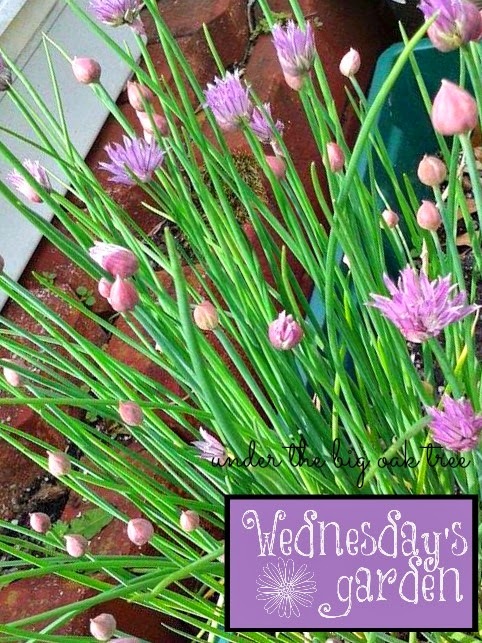 While I love the bright lilies, the soft hued chives add a subtle touch of color to the brick walkway adorned with plastic and terra cotta pots. 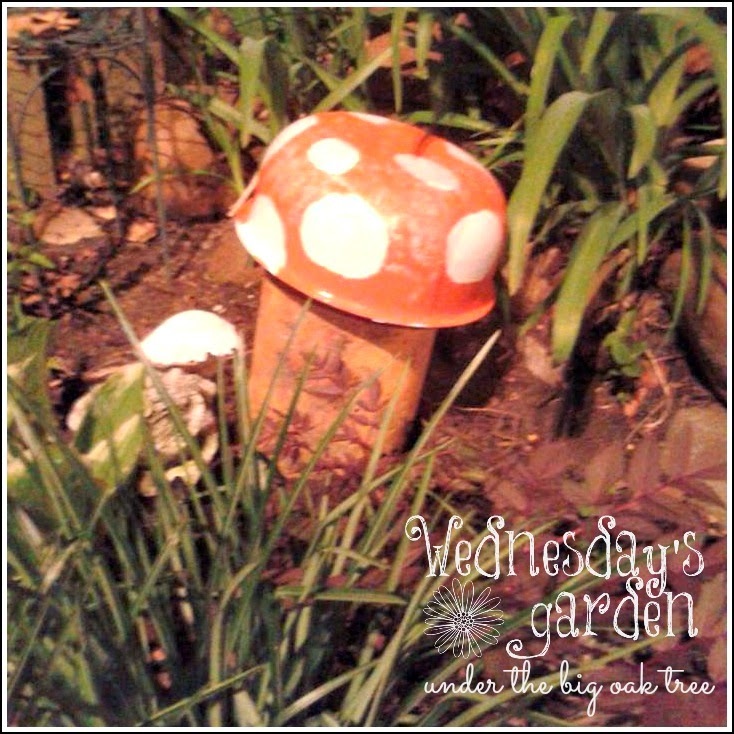 In addition to plants, Wednesday likes to add a bit of whimsy to her garden with some novelty items either store bought or created by her children or herself. In the weeks to come, I am sure we will see a few more frogs (or are they toads?) like the one perched on the pillar above! 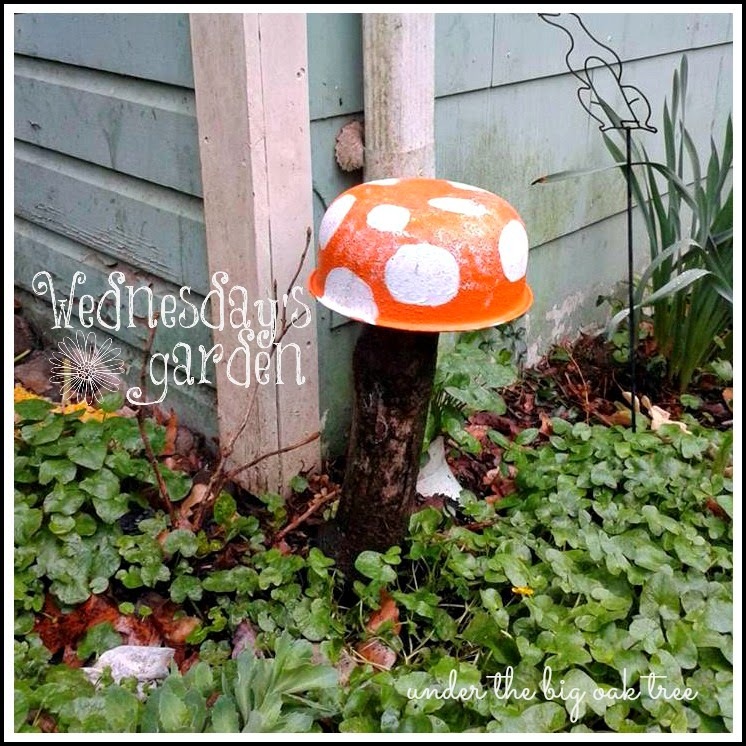 Inspired by Pinterest (of course), Wednesday and her kids created the cute toadstool above using an old bowl and some paint. 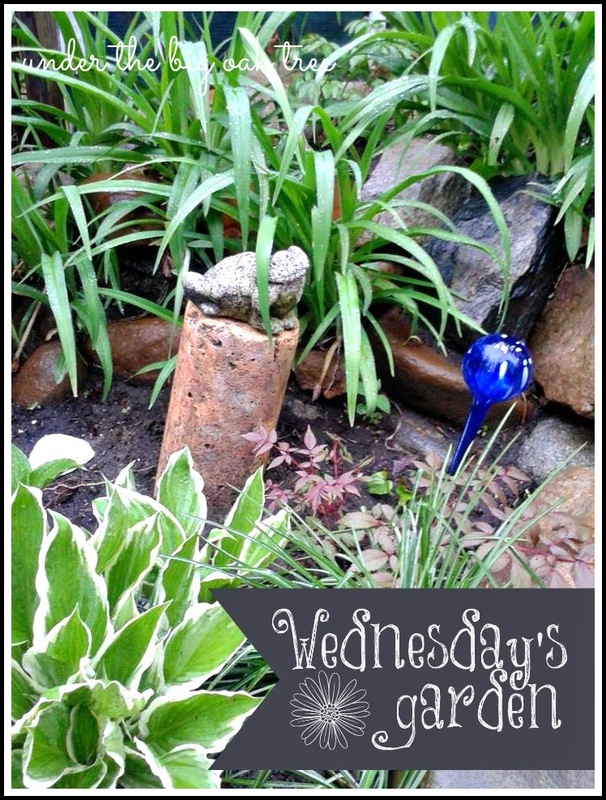 This is the perfect way to add some fun to the garden while camouflaging a stump. I think this would be a cute cover for the top of our well head that is near the front entrance to my house and I have the perfect bowls just waiting for this project!